The Agricultural Risk Consulting Group LLC is a commodity consulting firm specializing in managing the risks inherent in production agriculture. 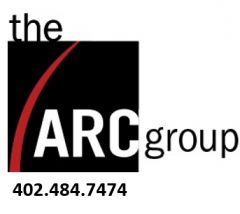 The ARC Group was formed in September, 2003 based in Lincoln, NE by a group of brokers/consultants that believed commodity risk should be managed by developing a sound, personalized grain marketing plan. Our philosophy is that risk should be managed by creating a consistent strategy to deal with the inevitable uncertainty of today’s volatile markets. The ARC Group’s goal is to have a plan in place that minimizes risk and maximizes profit over the long term. Since it is impossible to predict markets in the long term, we feel it is more important to execute a consistent approach. Execution sometimes proves difficult. Our clients rely on us to execute their plan from start to finish. We feel futures decisions are just one part of a commodity risk management plan. Carry & basis decisions typically need to be made separate of futures decisions. Our extensive background in commercial grain allows us to manage carry & basis decisions for our clients. This is an under-managed area of grain marketing by most commodity advisors. ARC helps manage the specific cash grain sales for each client by understanding their local cash market. The producer works one-on-one with a risk management consultant who will develop and implement a written plan. Depending on how the producer wishes to structure their risk management program, ARC will develop a marketing plan that incorporates crop insurance, futures & options, and cash marketing. Your consultant will also act as your sales agent, merchandising your cash grain at your preferred delivery location. Periodically you will receive your personalized management statement. This statement is a snapshot of your complete marketing program. The primary focus is to develop, implement, and execute a consistent and diversified risk management program that is customized for each individual producer’s operation, with the overall goal of decreasing risk and maximizing profitability.